This home has it all! Master on Main Level with 3 additional rooms, an office Plus a Bonus room upstairs. It&apos;s Custom Built and located in an established community. Top Schools with Award Winning Bells Crossing Elementary School. Highland Creek has a New Clubhouse and a Pool. 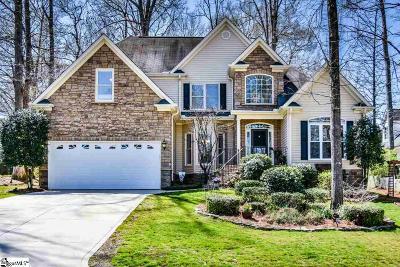 Come see all this wonderful home has to offer with open 2-Story Foyer, Vaulted Ceilings and Foyer, Open Floorplan Concept with the Custom Kitchen open to the Family room, Screened Porch, and Exquisite Landscaping. Featuring 4 bedrooms, a Bonus room, Office, Dining, Living, Great Room, and 3.5 Baths there&apos;s room for everyone to enjoy this home.